The Department of Energy (DoE) has made it pellucid on several occasions that it will not be pursuing the renegotiation of the Production Sharing Agreement (PSA) with ExxonMobil’s partners, Hess and CNOOC, as well as its subsidiary, Esso Exploration and Production Guyana Limited (EEPGL). It has also expressed that it is unconcerned with the fact that it is using a UK firm, Bayphase Consultancy, to review the Field Development Plans for ExxonMobil, even though Bayphase is Exxon’s client. Taking the aforementioned into considering, among other factors, Oil and Gas Consultant, Dr. Jan Mangal is convinced that the Department of Energy is taking an incorrect stance when it comes to critical issues on the sector. During an interview with Kaieteur News recently, Dr. Mangal said that the DoE should be championing the need for a re-negotiation of the contract for Stabroek Block. “But they are not and are instead, wasting time talking about future blocks when all the value for Guyana may be in the Stabroek Block,” Dr. Mangal commented. He said, too, that the DoE should be spearheading a move to rescind the awards of the Kaieteur and Canje Blocks, but instead, nothing is being done in this regard. Further to this, Dr. Mangal said that the current set-up or approach for the Department also differs from what was originally planned. 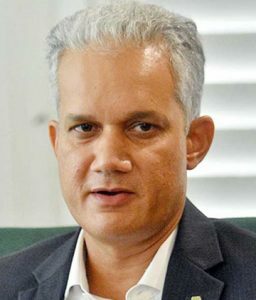 Dr. Mangal had expressed on his Facebook page that the department was supposed to be seen as one of the premier government institutions for the most capable of Guyanese as well as the best foreign oil and gas experts. It was also expected to strive to be seen in a positive light by all stakeholders. “It must be the picture of a well-run, well-resourced, and transparent organization. It must be viewed as working for the long term interests of the people of Guyana, as opposed to for the interests of business elites, politicians or foreign companies. It must share information regularly via its website and hold regular press conferences (weekly or at least monthly),” Dr. Mangal shared. He told this newspaper however that there have been some deviations, but these are expected. The Oil Consultant said that as new people are brought in and time evolves, plans and ideas will change. The current Petroleum Advisor to the Government, Matthew Wilks, was the Chief Commercial Officer of Maserk Oil, which is based in Denmark. Wilks was there for five years and one month. He left there in January 2018, and was hired by the Government in August. Further to this, Dr. Mangal said that in transferring responsibility for the oil sector from the Ministry of Natural Resources to the new DoE, one has to be careful about the transfer of staff as well. The Oil and Gas Consultant also noted that the DoE was meant to be a showcase of how the new government should function for the benefit of the people. He said that it was meant to be a pinnacle to which other government bodies could aspire; an emblem of efficient and impactful public service. Dr. Mangal said there is still an opportunity for the DoE to improve as it grows, but the foregoing signs have been discouraging.